At the beginning of World War II, a professor from San Diego State College asked students entering military service to write to him. For the next five years, thousands of letters from places like Pearl Harbor, North Africa, and Normandy began with the salutation, "Dear Doc," and described vivid accounts of training, combat, and camaraderie. 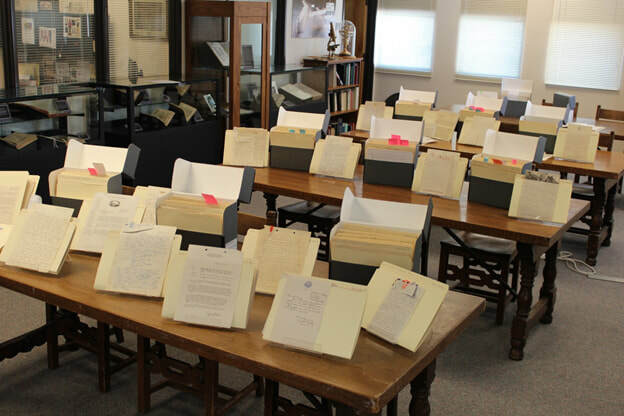 Students and their families penned more than 4,500 letters to Dr. Post. Pilots wrote about seeing planes shot down. Men in POW camps sent word about the location of other prisoners, and Dr. Post passed information on to frantic families. Mothers, hoping for news about missing sons, clutched at the details. WACS and WAVES hinted about bomb tests and surveillance. Friends labored over eulogies for their classmates. These intimate, first-person accounts captured honesty, sympathy, raw grief, and wonder. Every month, Dr. Post mailed hundreds of newsletters to his Fighting Aztecs around the globe. He never lost track of his students, even on the "forgotten fronts." He assured them that everyone at home was praying for their safe return. 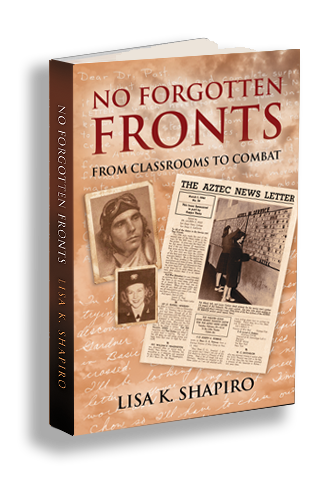 ​No Forgotten Fronts: From Classrooms to Combat is the universal story of struggle and sacrifice in the fight for democracy and the preservation of American values. World War II San Diego State College Servicemen’s Correspondence Collection, 1941-1946, displayed in the reading room, Special Collections and University Archives, SDSU.